UNRA Executive Director, Allen Kagina listens to officers in charge of land acquisition during Tuesday's inspection. As government nears the final stage of procuring the contractor for the construction of Kampala – Jinja Expressway, the first ever Public Private Partnership (PPP) road project in Uganda, UNRA is making headways in land acquisition, despite encountering some land related disputes. The USD 1.1bn Kampala – Jinja Expressway which measures 95kms will link with the Kampala Flyover project alignment on the west, the Source of the Nile Bridge on the East, the Kampala Northern bypass on the North and the Kampala – Entebbe Expressway Spur to Munyonyo on the Southern side. It is also formed by the 18km Kampala Southern Bypass, a 2+2 lane with a design speed of up to 100kph. In May 2018, UNRA launched the pre-qualification process that attracted eight international firms from across the world bidding for the project. Four months ago, UNRA concluded the pre-qualification evaluation process resulting in 4 consortia (from France, Poland, Austria, Portugal, China, Germany, Turkey and S.Korea). The co-financiers of the project (European Union, French Development Agency and African Development Bank) gave a no objection to the four pre-qualified bidders. According to UNRA, the four bidders will be invited next month to submit their technical and financial proposals and civil works are planned to kick off in mid 2020. The French Development Agency provided USD 102m while the European Union (EU) has provided a USD 102m grant and the African Development Bank (ADB) USD 200m. The successful private bidder will be required to raise USD 600m on top of operation and maintenance financing costs. The total cost of the project is USD 1.1bn. Between now and then, government will be looking to secure the right of way. A total of 5.5kms of the Kampala Southern Bypass and 3.6km of the Kampala – Jinja mainline is being cleared. Atleast 1,487 project affected persons have already been compensated out of the total of 3,000. In the current financial year, government has allocated Shs 130bn for land acquisition for the project. 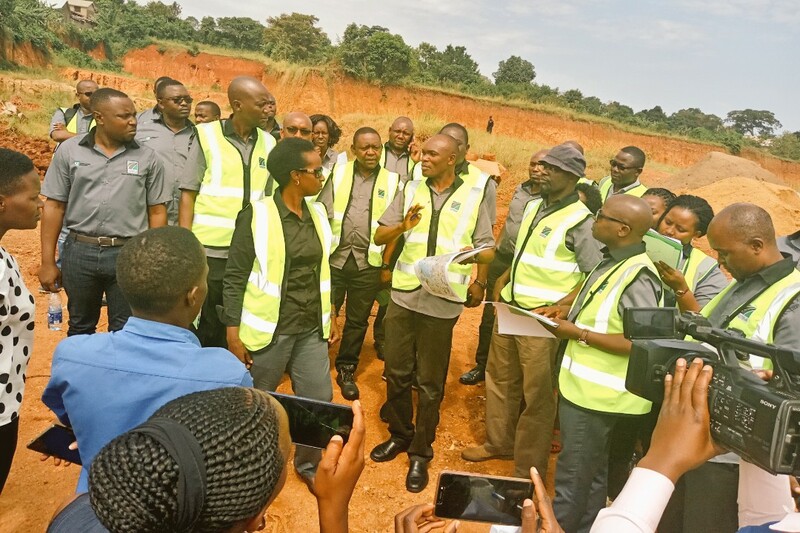 However, while touring the sections of the project to ascertain the progress in the land acquisition process, the UNRA Executive Director, Allen Kagina and other UNRA officials learnt that key challenges still remain. These challenges include court injunctions, disputed land ownership, lack of adequate ownership legal documents, titles in wetlands, reluctance by compensated persons to vacate, among others. The delegation led by Kagina made site visits in areas of Kibiri A, Kibira B, Kigaga Zone, Nakinyuguzi, Kanyogoga and Kasokoso. 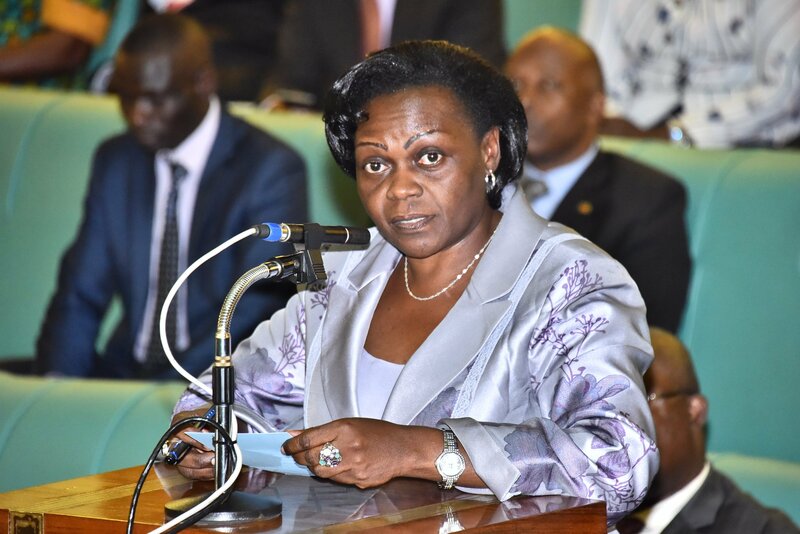 “We have some areas where there are disputes – where family members are conflicting over ownership, there are cases where the landlords are unknown and when a landlord is not available, it is a challenge for us,” Kagina told reporters during the inspection. She said that the absentee landlords pose a critical impendiment in the compensation process since government must get the landlord’s approval on the legitimate Bibanja owners. “We have people who have built in swamps, they claim they are Bibanja owners. When we make compensation for such kind of people, we must have authorization for both the Kibanja owner and the landlord,” the UNRA Executive Director said. “We have been calling for landlords, some appear, others are not coming. We get names, we have their addresses, we have put them in the papers but they don’t show up. This is a challenge”. The other category is the project affected persons who were duly compensated but have since erected other structures on the same property, in anticipation for more compensation. Kagina said these structures will be demolished. In another section (Kanyogoga near Bugolobi) which is also in the project way of the Southern Bypass, there is a number of people who are settling in a gazetted wetland and some hold titles. By law, these possess legitimate rights on the land. “We would have wanted NEMA to come and evict the people so that we are able to do the road. But some of them appear to have land titles. It is more complicated than coming and saying You are in a wetland move”. “If someone has a land title in a wetland, then we in government must work together to find out whether they are genuine titles. If they are, then they have to get compensated. So us, NEMA, lands office, we must sit together and resolve this issue”. She however said that NEMA needs to publicly declare which areas are gazetted at wetlands to avoid cases where people settle and cause these intricacies. 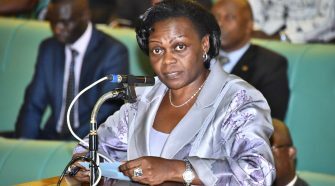 Part of the land on the same wetland, is subject of the dispute and the ongoing land probe led by Justice Catherine Bamugemereire has since placed a caveat on the land halting any transaction thereon. Meanwhile, Kagina appealed to the beneficiaries of the government compensation to put the money to good use by making wise investment decisions.